Sometimes when your making tweaks to WHS or installing certain Add-Ins, it can make the system unstable. 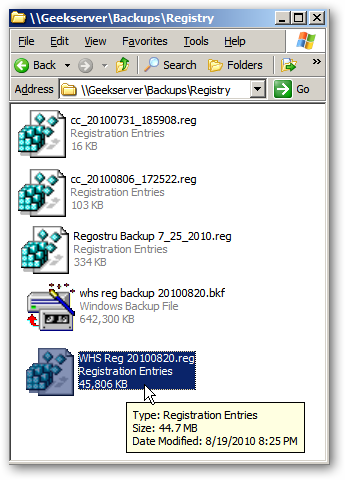 Here we take a look at how to backup the WHS System State and / or Registry so you can restore it if something goes wrong. 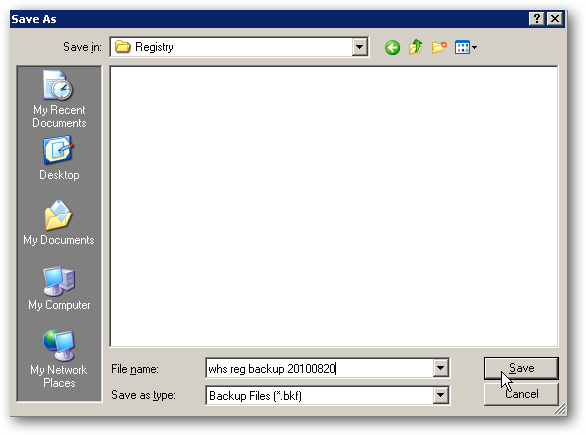 The System State includes the most important system files for WHS such as the Registry, Startup Files, and Protected System files. The first thing you’ll want to to is log on to WHS either through the WHS Console, Remote Desktop, or through Advanced Admin Console. 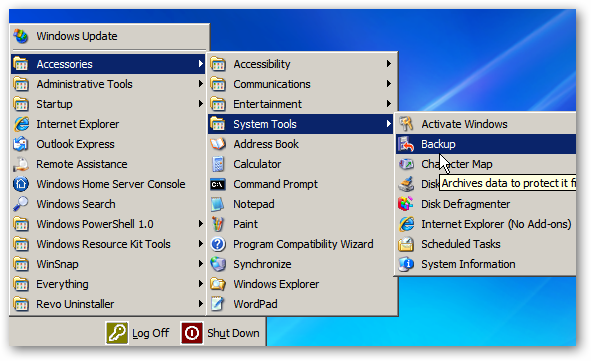 Now navigate to Start \ All Programs \ Accessories \ System Tool \ Backup. 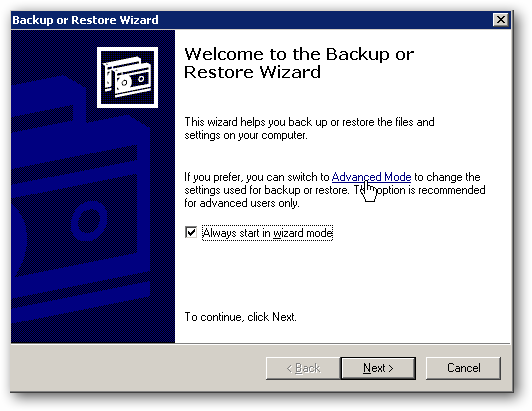 The Backup or Restore Wizard launches, but we’re not going to use the Wizard. From here click on the Advanced Mode link instead. 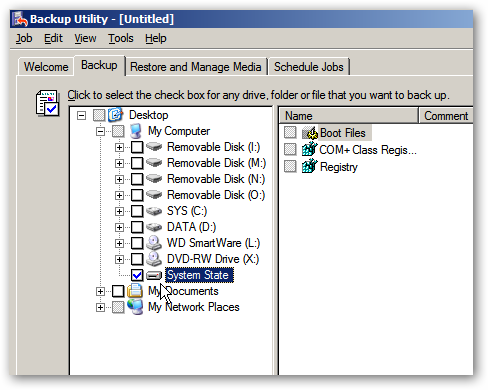 This opens the Backup Utility and in the left pane expand My Computer and check System State. Now at the bottom of the screen click the Browse button to find a destination to save the backup file. Note: Don’t back it up to the server’s local drive. Make sure you choose a destination like a shared folder, Flash Drive, or External HD. As you can see here we have it set to backup to our shared backup folder…now click on Start Backup. You will get an overview of the backup job and can start it right away or schedule it for a later time. Now wait while everything is backed up. The amount of time it takes will vary depending on the server configuration. Also keep in mind the file can be large (ours was 627 MB), so make sure you have enough space on the location you’re backing up to. 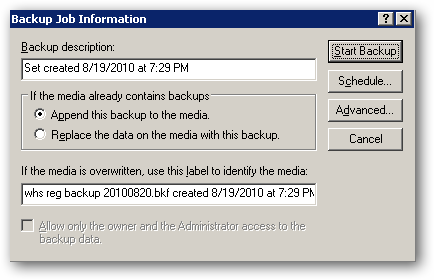 When the backup is complete you can view a report for detailed information on the backup or close out of the utility. 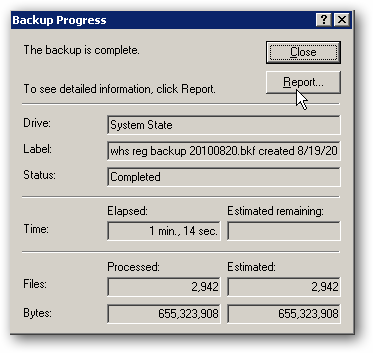 After we completed the System State backup, we brought the file to one of the PCs on our network and backed up the backup file using Carbonite…having redundant backups is always a good idea! 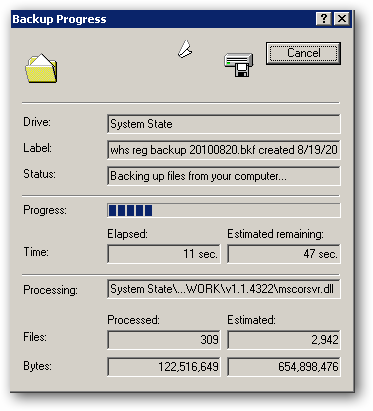 If you don’t want to backup the full System State, you can also backup the entire Registry only. 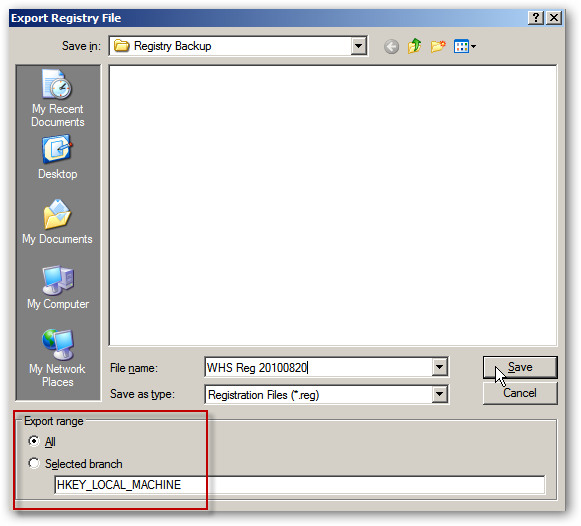 Remote into WHS and open the Registry Editor. Now select a location and name for the backup. 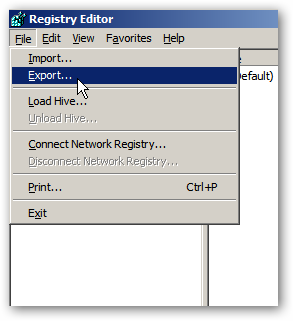 Under Export range make sure to select All to backup the entire Registry. 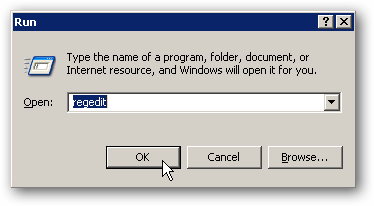 Or you can go through and backup a Selected branch if you’re only making changes to specific parts of the Registry. When in doubt just backup the entire thing. Again you’ll want to back it up to a location other than your local server drive. The size of our Registry was around 45 MB, though yours may vary. 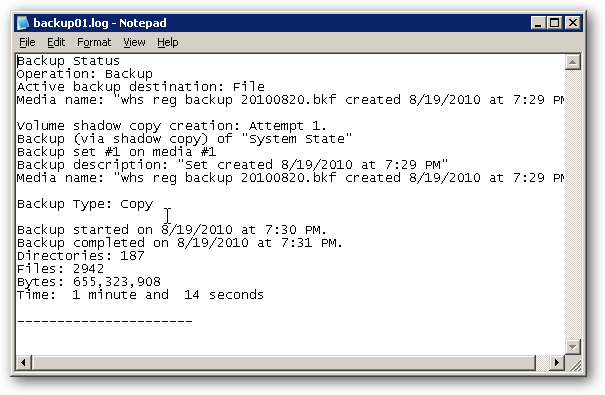 Backing up your server’s System State and Registry is a great idea to incorporate into your backup strategy. If something does go wrong, you can easily restore the settings which should help get your server back to where it needs to be.